The 2019-20 season will be DSSC’s 34thseason as a competitive swim club within the Lower Mainland Region of BritishColumbia. DSSC is proud of itscommitment to its current members, and alumnus throughout Canada. The club’s 150 swimmer member base has seen alot of growth in the last 2 years, and as a result the coaching staff needs toexpand to help accommodate. With 70competitive swimmers, 60 Learn to Swim participants and 20 recreationalathletes DSSC programs cover the whole spectrum of swimming. The municipality of Delta is located withinthe Greater Vancouver Region and the Delta Sungod Swim Club swims out of SungodRecreation Centre in North Delta. The club is looking for a new AssistantHead Coach. The coaching staff will relyon its Assistant Head Coach to act as an administrator to help run the day today operations of the club, a sounding board for both the Head Coach and NoviceCoach during the planning and implementation of new programming ideas and as adeck coach to help run both the CompDev and Developmental Age Group swim groups. The Competitive Development group is an 11& over intro to competitive swimming group with focus on aerobic trainingand basic technical skills. TheDevelopmental Age Group (DAG) is a 13 & under Provincial level group. 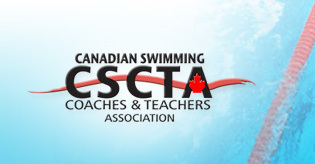 Swimmers are either at or working towards BCprovincial level standards as well as Canadian Junior Championships and WesternChampionship standards. Focus will be onrefining technical skills and the development of aerobically sound, rate basedswimmers. This is a salaried position. Benefits, paid holidays and extras areavailable to the chosen candidate. · Selling a love of swimming toathletes. · Creation of a DAG/CompDevprogram with guidance from Head Coach. · Planning practices for Regionaland DAG Groups. · Maintenance of a detailedlogbook of all practices. · Attendance at appropriate meets(in-house, regional and provincial level). · Attendance at monthly staffeducation sessions. · Day to day administrativeduties. · Meeting with Head Coach whenrequired. · A great personality andinterest in their athletes beyond swim club. · An ability to interact in ateam staff environment. · An ability to effectivelycommunicate with swimmers and parents. · A sound knowledge of swimmingand teaching. o NCCP level 2 preferred, but NCCPlevel 1 candidates will be considered. · Ability to learn the Team Unifyweb based club manager. · Hytek Team/Meet managerexperience necessary. Salary will be commensurate withexperience. Please submit resume, cover letter,philosophy of coaching, references and salary expectations to Head Coach KurtMurphy at hiring@teamsungod.ca. Applicants may be required to submit writingsample if necessary. Only considered applicants will becontacted and only applicants with complete requirements will be considered. The 2019-20 season begins September, 2019.